After Bernard of Clairvaux, but before the Apollo Program: it's the 1160s! 1. Eric IX, regarded as the patron saint of his country and styled Eric the Lawgiver, Erik the Saint, and Eric the Holy, was murdered by Magnus Henriksen in 1160; in 1161, Henriksen was murdered by Karl Sverkersson, the ruler of Gothenland, who took the national throne as King Charles. Charles established the Archbishopric of Uppsala before being murdered in 1167. So, some difficulty with the orderly transfer of power in what European nation? 2. 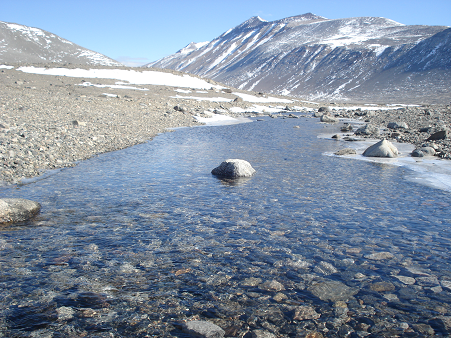 Despite being the largest river valley in its entire landmass, the Onyx River basin (shown here) had no human population in the 1160s. Or, for that matter, at any time before or after. What kept people from settling along the Onyx? 3. He would unite the nomadic tribes of Northeast Asia and lead them to victories in campaigns “often accompanied by wholesale massacres of the civilian populations.” But in the early 1160s, he was just a beautiful baby boy named Temüjin. What do we usually call him these days? 4. After all of his relatives died, and after 35 years on the throne, the emperor launched a search for descendants of the founder of the dynasty. In 1162 he finally came up with a surprised sixth cousin and abdicated to him. The new guy did pretty well, and would rule the Southern Song for 27 years. Just another story from the history of ___________. 5. 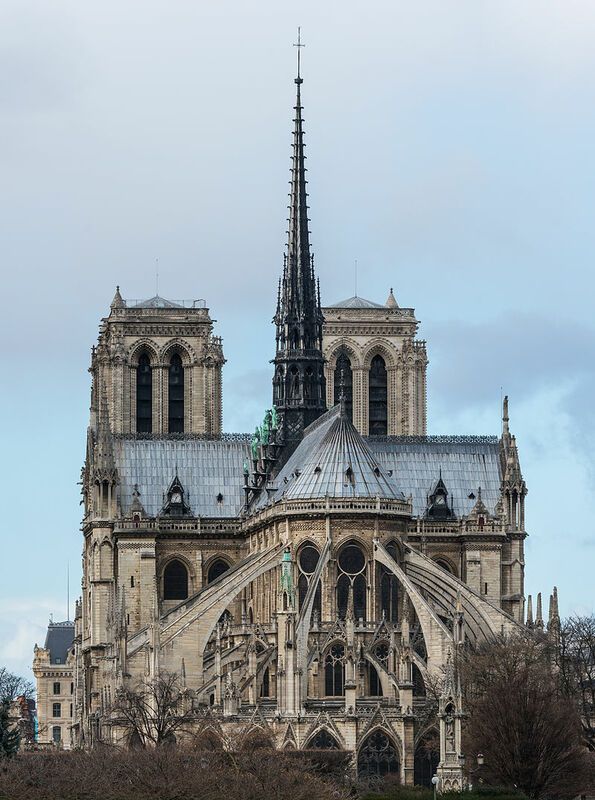 In 1163, either Bishop Maurice de Sully or Pope Alexander III -- or who knows, maybe both of them -- laid the foundation stone of the building that looks like this today. What's it called? 6. Throughout the 1160s, the Crusader Kingdoms kept trying to invade the rich agricultural land to their south, in __________. 7. In 1166, Stefan Namanja became Grand Prince of a nation. He would retain the title until 1196, founding a national empire (shown on this map) and church; after his death, the orthodox church canonized him as Saint Symeon the Myrrh-streaming. Of what nation was Stefan Namanja the ruler? 8. In the Middle Ages, the emperor and aristocracy gradually lost power to the bushi, the warrior caste that nominally served them. By the 1160s, the bushi began to dominate government, as they eventually would for centuries. What do we usually call the bushi in English? 9. Diarmait Mac Murchada, the ousted King of Leinster, invited Anglo-Norman mercenaries to help him regain his kingdom. They arrived in May 1169, with the backing of King Henry II of England and Pope Adrian IV. Thus began the Norman Invasion of ______________. 10. The painter who would create Banquet by Lantern Light, shown here, was born in the 1160s. Where do you suppose he lived? 1. Crayons: The six you'd expect, plus black and BROWN. 2. 8th Amendment: Cruel and unusual punishment. 3. 8th Commandment: Thou shalt not steal. 4. "Eight Days a Week"
7. Eight track tapes had one continuous loop of wide tape. It held four programs of music, each in stereo. 8. Mercury, Mercury, Neptune, & Venus. 9. Valence Electrons, or electrons in the outmost "shell" where chemical reactions take place. Half credit for "electrons." 11. A eight, or quaver, rest. It's kind of close between Morgan and DrSchnell. But I think that DrSchnell has it. 1. Bad football with the New Orleans Saints. 2. The Church of the Savior on Spilled Blood is in St. Petersburg. 3. Bad film with St. Elmo's Fire. 4. The Little Prince was by Antoine de Saint-Exupéry. 5. Big explosion with Mt. Saint Helens. 6. Cujo is a St. Bernard. 7. Chicago on St. Patrick's Day. 9. Sydenham's chorea is what you might call St. Vitus' Dance. 10. The St. Crispin's Day Speech. So DrSchnell took this one too, with Christine M. and Gs49 nipping at his proverbial heels. 1. The Sorbonne is the University of Paris. 2. The island country is the Maldives. 3. Idrisi's Tabula Rogeriana was an atlas. 4. Adrian IV is the only English Pope in history. 5. That's Angkor Wat, in Cambodia. 6. Barbarossa was the Holy Roman Emperor, which was not entirely without certain holy, Roman, and imperial traits. 8. The Emperor who survived the Hōgen Rebellion was the Emperor of Japan. 9. Bermingham's new town would become... Birmingham. 10. The Hanseatic League was an alligned coalition of city-states along the Channel and Baltic Coasts of Northern Europe. Several brainy folks got an impressive 8/10, but it was pfly who stood atop the fray with nine marks, plus intangible bonus points for showing his reasoning. 1. Oh, Uppsala is in...Sweden, today? Maybe Denmark back then? I'll go with Sweden though. 2. It's on Mars! No, wait, antarctica? 3. Are we really already to Genghis Khan? 4. Southern Song = China. 5. Looks like Notre Dame in Paris. From the rear, where the, you know, buttress are. The flying ones. 6. South of the Crusader Kingdoms? Wouldn't that be, like, the Sinai. Not very fertile. Must be something else. I didn't think they tried to invade Egypt, or deep into Arabia. And Mesopotamia is east not south. So, I don't know. Um, Lebannon? 7. That is, er, well I want to say Bosnia, but there's a "Bosna" on the map. And I think "Hrvatska" = Croatia, no? Soooo...Montenegro? 9. Well, Leinster is in Ireland, if I can trust EU4. So...Ireland? 10. China or Japan, I would think. Let's say China.